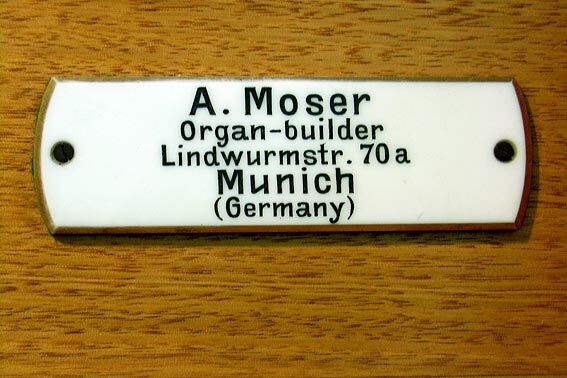 The organ in the Convent chapel was built in 1927 by A. Möser of Munich to the design of Dom Stephen Moreno, O.S.B. of the Benedictine Abbey at New Norcia, Western Australia. 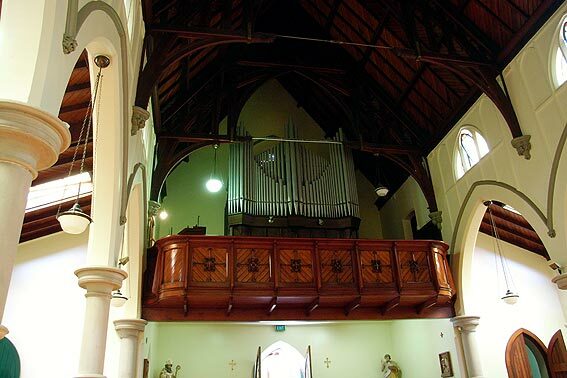 New Norcia has a larger Möser organ of 1923, one of the most fascinating organs ever exported to Australia due to its almost bizarre tonal design (including mutations at 1-1/7 and 8/9). 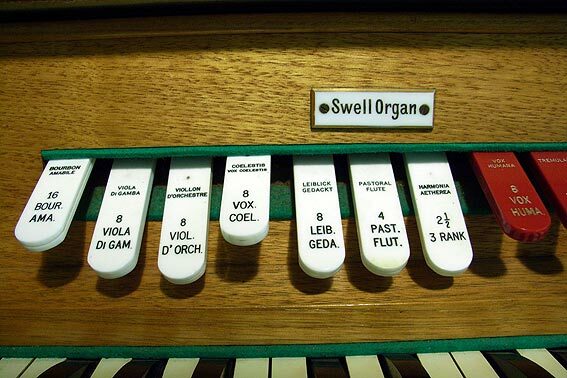 This style is nonetheless very typical of German organbuilding in the 20th century which employed extremes of sonority according to the 'klangfarbe' style. 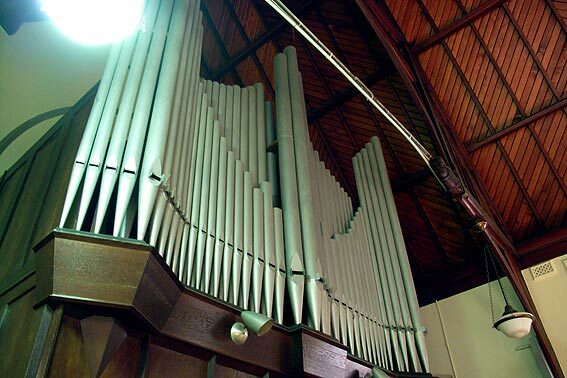 The North Sydney Möser has a most unusual tonal design, unique in our city, and although electrified c. 1960 by S. T. Noad and Son, retains virtually all of its original characteristics. An overhaul was undertaken in 1982 by J. W. Walker & Sons (Aust) Pty Ltd. 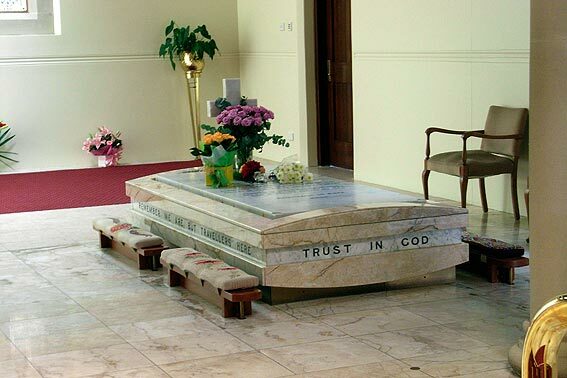 The chapel contains the grave of Sister Mary MacKillop, Australia's first Catholic Saint. 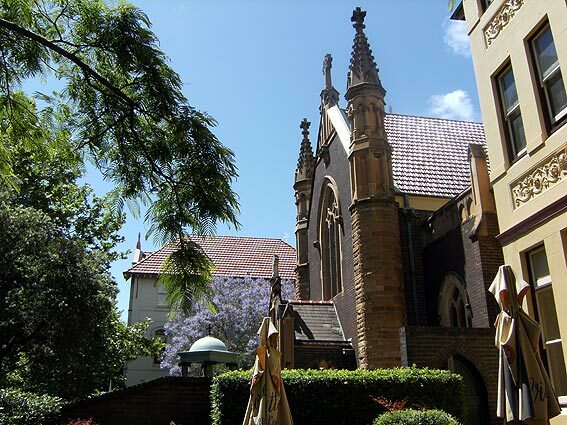 The historical information below was researched from convent archives and provided by Sr Marie-Therese Levey rsj, May 2011. 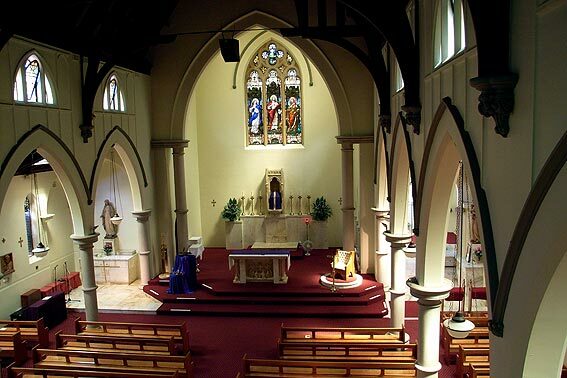 1927 Mother Laurence O'Brien, on behalf of the Sisters of St Joseph, requested Dom Stephen Moreno, who was travelling to Munich, to negotiate the sale of the Moser pipe organ. 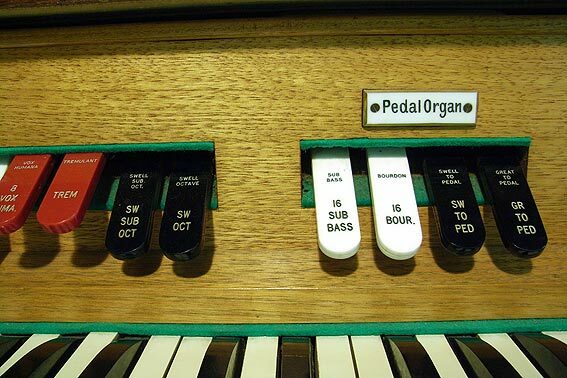 He returned to Australia with the instrument later that year, and under his direction, the organ was assembled. 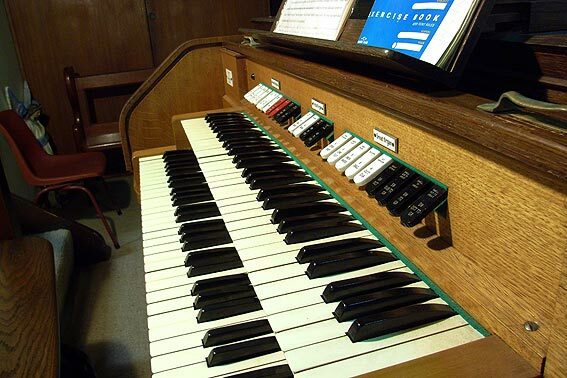 It is something of a "sister instrument" to the one at Dom Moreno's home monastery of New Norcia. 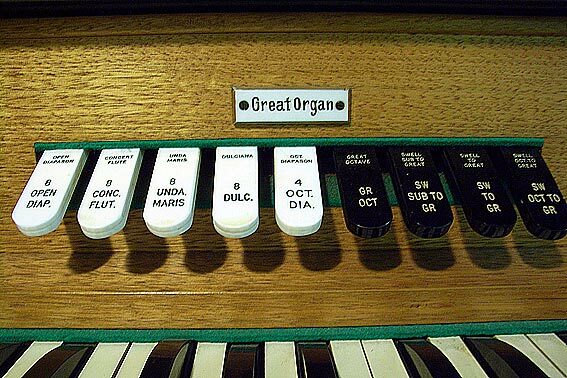 1957 During the time of Mother Leone Ryan, the organ was reconstructed by S.T. Noad & Son. 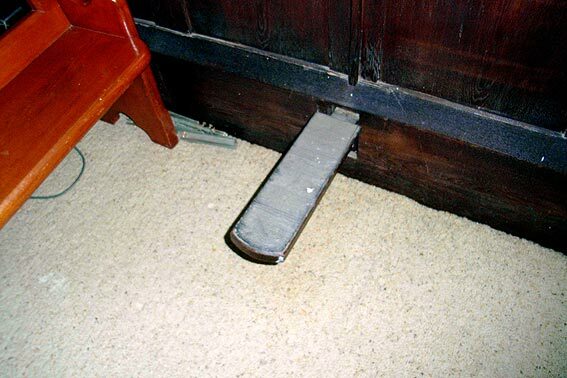 A new blower was installed and the pneumatic action electrified so that the console could then be moved to its present position at the side. The action puffers were replaced by electric magnets. 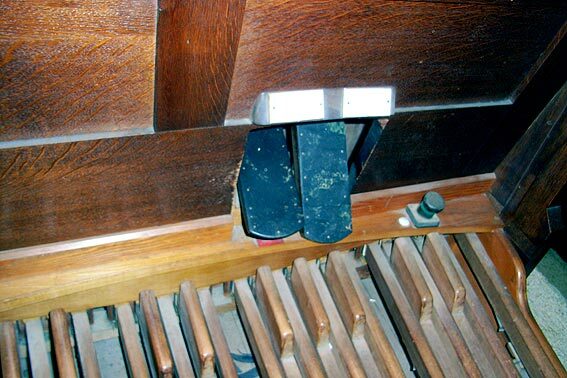 The manual and pedal keyboards were replaced. 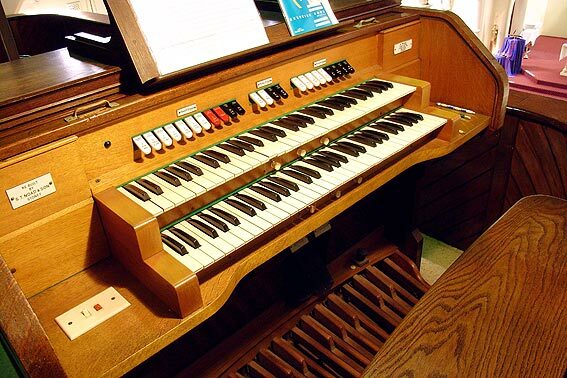 After Vatican II the purchase of a Conn electronic organ downstairs discouraged the use of the pipe organ which was neglected between 1970 to 1982 and became unusable. 1982 During the time of Sr Elizabeth Murphy, Peter Jewkes (working for J.W. Walker & Sons (Aust.) Pty Ltd) was engaged to thoroughly overhaul the instrument. All of the pipes were regulated and repaired. 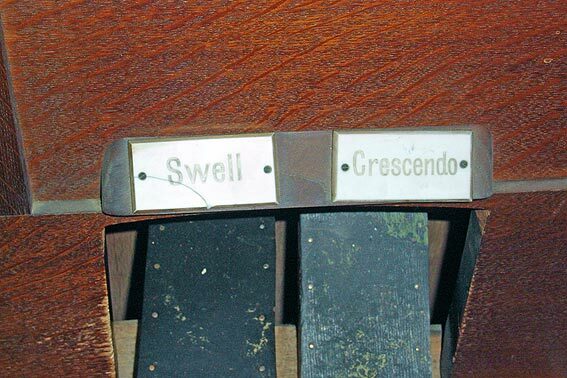 The Unde Maris stop, which has the distinctive feature of undulating against the Concert Flute, was restored, as also was the rare sound of the Harmonia Aetherea. 1994 During the time of Sr Mary Cresp, in preparation for the visit of Pope John Paul II and the Beatification of Blessed Mary MacKillop (1995) new German splitskin purses were fitted to operate the 963 pipes. All pipes were taken out, cleaned and reinstalled. 2001 The 1957 blower was replaced by a new, silent, German unit. The Tremulant was repaired. 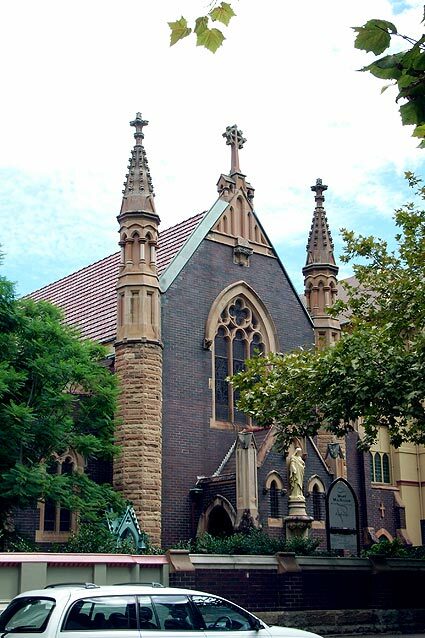 2010 Canonization of St Mary MacKillop. 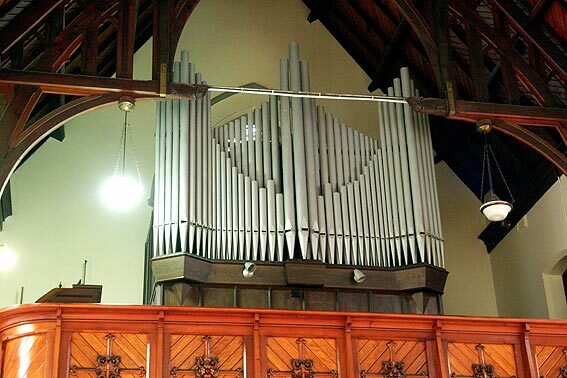 Organ recitals are a regular feature in the chapel. 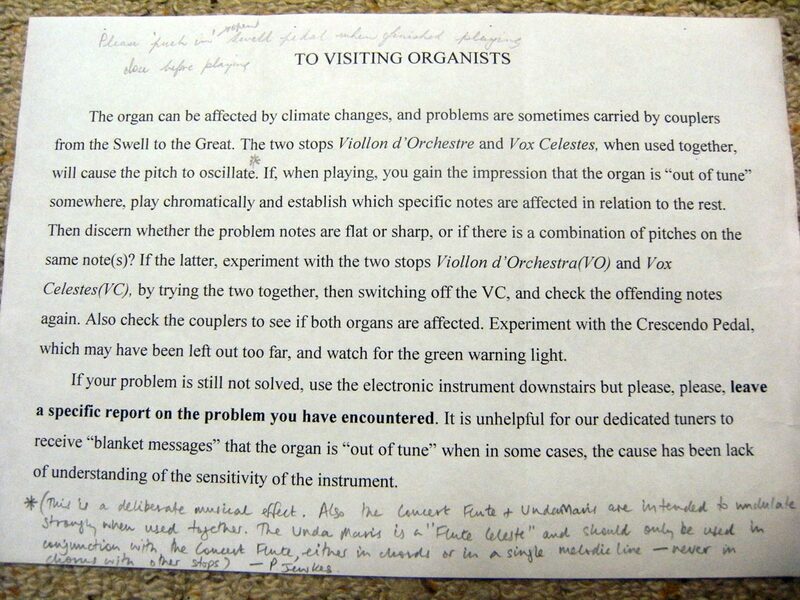 Please click here for the sign on organ console for 'Visiting Organists'.